Top riders from the Japanese pro-circuit, both male and female, are scheduled to race on Sunday. 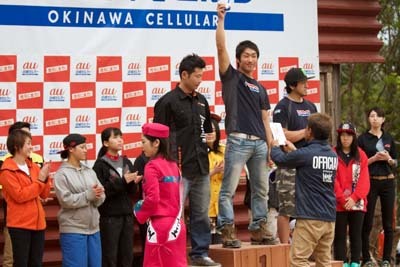 Tsuyoshi Matsuda, a former IA motocross rider and now an owner of a bike shop owner, organized the first Nago All Star Motocross race in Nago last year. 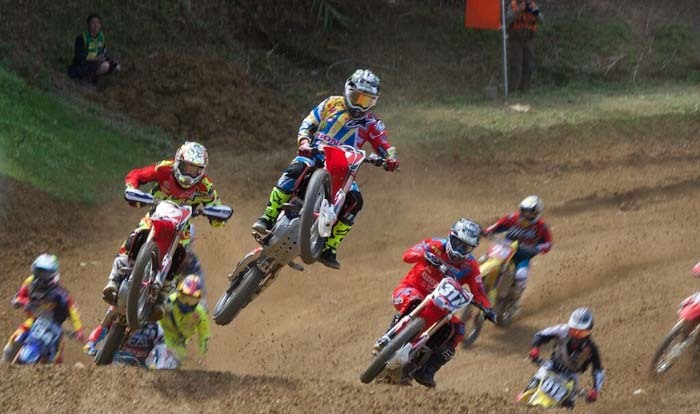 The event was the first motocross competition on Okinawa featuring professional drivers and teams in 15 years. 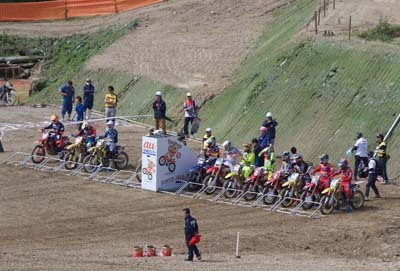 ImaNago Cross Field in Yofuke, Nago, is the only officially recognized motocross track on Okinawa. Following the success of the event last year that saw 3,200 spectators to come to see the race, the second race will take place at the same race track called ‘ImaNago Cross Field’ at 1084 Yofuke, Nago. The track in Nago is one of the only six officially recognized permanent motocross tracks in the country, and the only one on Okinawa. In the last event, spectators definitely got worth their money as 24 riders from the Japanese pro-circuit raced against each other in the two-day event. The participants included top riders of the Honda and other bike makers’ racing teams and the ladies’ national champion of 2014. 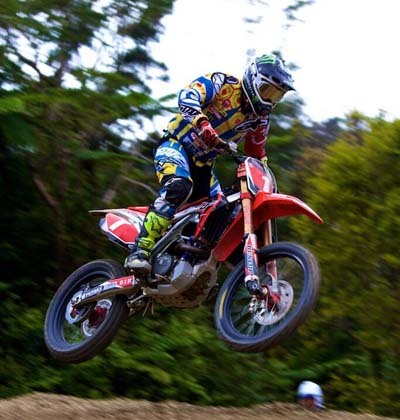 The organizer aims at attracting pro-class riders of the top four motocross motorcycle makers in Japan for a training camp on Okinawa during the winter season, like many other sports teams do, for example teams in baseball, soccer and bicycle racing. Racers wait for the start behind a drop gate. The racers include riders from the IA1 and IA2 classes in the All Japan Motocross Championship Series of 2015 and 2016. The races consist of two races in IA class, each a mix of 20 riders from IA1 and IA2 class, plus a ladies’ class race. Each class runs two heats. Footage from the last year’s race is on Youtube. In addition to the race, there is a handshake event for fans to meet the riders, and a talk show. Food and drink booths are set up along the spectator area. The award ceremony is held immediately after the races on Sunday. The event takes place on Saturday and Sunday. Open practice runs take place Saturday from 13:00 to 17:00, while Sunday is dedicated to professional championship runs and the ladies’ race from 09:00 to 17:00. Tickets good for both days cost are ¥3,000 in advance or ¥4,000 at gate. Elementary school age children and younger are admitted free. There is no parking at the racetrack site, but a parking space for spectators’ cars and motorcycles is reserved at Nago Wharf. Shuttle busses will leave to the racetrack every ten minutes beginning at 7 a.m. The races begin at 10:00, and organizers recommend spectators come early. Tickets to the races are sold at the event office at 1-6-6 Nakama, Urasoe City, most motorbike shops on the island and FamilyMart e-plus vending terminals.